We have entered into the second-most stressful time of the NHL season. 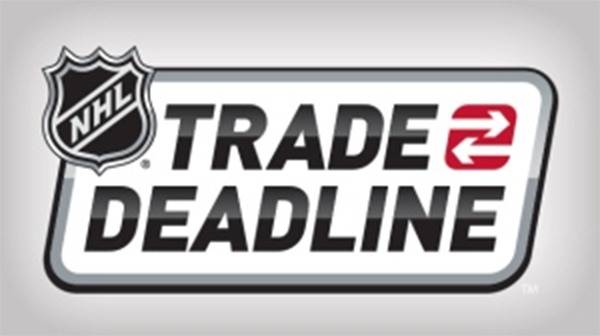 Yes, my dear readers, it is trade deadline time. That wonderful time of the season where social media gets a little crazy. 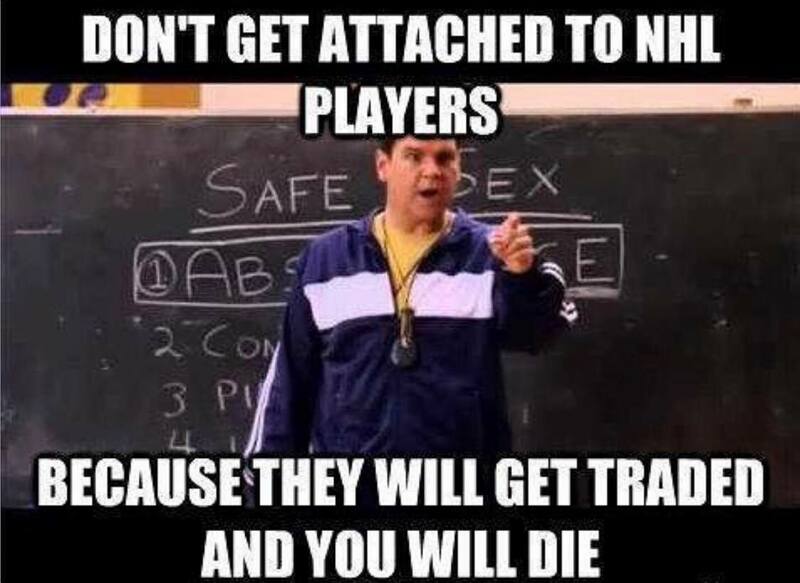 All of a sudden, everyone becomes a trade expert. Each and every fan of each and every team knows exactly what their team needs, who they want. and how to get them. Overnight, credible sports news outlets and well respected sports reporters seem to clone themselves. All of these clones make their own social media accounts to report breaking NHL trade deals the second they claim to happen. There is one flaw with these clones however; they don't seem to work on the same brain wave length. Every single account is reporting something different about the same main team, all the while trying to build it's own credibility as being "the truthful one." In the meantime, Twitter explodes with re-tweets from fans freaking out one way or another about a trade they just saw posted on their news feed. It's on social media so it must be true. There is no need to check the source or validity. The information was re-tweeted 30 times. It must be true. Even the savviest of sports media followers has fallen victim to "fake news" at the NHL trade deadline. The shock of the moment takes away all ability for reason and *click*, the news is shared in cyberspace without hesitation. Twenty minutes and 15 or so replies later, it is realized that a mistake was made. This leaves a person looking quite foolish for falling for a clear ruse concocted by someone with too much time on their hands. It is important to remember to be wary of fake accounts this time of year. They will pop up like weeds in the flower garden and reek just as much havoc. It is also important to keep a clear head and remember that life, and the NHL season, goes on past March 1. When shuffling through your social media feeds today, keep in mind these few helpful tips in order to get through the next few days. This is the very first thing that needs to be looked for in regards to accounts claiming to be run by sports reporters. Almost all reputable sports reporters are Twitter verified. They have that lovely blue check mark next to their name. That is how you can tell if you are getting the news from someone truly in the know and not someone trying to make others look silly. This is something that can be often overlooked. While the account may have the team logo or a reporter's picture and name, the handle itself may lead the reader to believe otherwise. Most professional outlets will use a professionally-based name for their social media accounts. The use of a nickname or quirky spelling is never used. The exception to this could be if it is regarding a radio station, but even in that instance, the name originality is kept at a minimum. Also, check for misspellings. If the team or reporter's name is not spelled the correct way, the account is probably fake. Should something odd like any of these be seen right off the bat, chances are it is not a credible source. As human beings, it seems almost ingrained in our minds that we have to try and be the first one to re-tweet or share shocking or breaking information. It gives a sense of superiority or importance. However, without taking the time to fact check, sharing information can sometimes lead to disaster. If a "breaking trade news" tweet is seen, take a little while and let the "news" get around. Check out NHL or sport-centric websites a few times within a given time period and see what, if anything, is being reported. After that, check back into social media and see what other fans and media outlets are saying. By that time, the information will have been verified or debunked by a reputable outlet. General Manager's (such as the Pittsburgh Penguins' own, Jim Rutherford) are in their position for a reason. It is their job to make the moves, or in some cases, not make moves, as it pertains to the betterment and success of their team. Overzealous fanatics will spend countless hours analysing player data and working out salary mathematics to see what available players would fit in with their favorite team's dynamic and which players could be leaving. All of this is done with the hope that by some from of telepathy, their team's GM will make a decision based off of their personal research and information. Please, do not drive yourself batty. It can be fun to play GM and it can also be a real rush if a person's speculation comes true. Those lucky predictions are few and far between. What will be, will be. Any trade deal, at any given time, may not be what someone thinks is the best idea. However, it is a choice by the team management and therefore must be respected. Supporting the team is still important, even if a deal means saying goodbye to a favorite player, if it means a better shot at a championship run. This last tip is very important in regards to the latter statement. Tip 5) "Don't get attached to players. 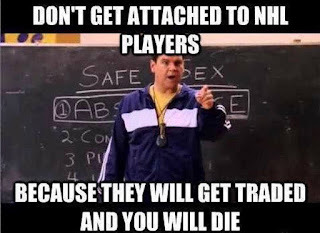 They will get traded and then you will die"
Everyone has their favorite player(s). Be they from the hometown team or from multiple teams. While wearing their merchandise proudly, it has to be remembered that only a select few could possibly remain with one franchise for their entire career. Trades happen. Who will be dealt, where they will go, and what will be given for them is a matter better left up to professionals (see tip number four). There is nothing wrong with supporting that beloved player on their new team. There is nothing wrong with wearing that players old team jersey after they have been traded. There is also nothing wrong with bidding them a good luck message and moving on. Do whatever feels right. The next few days could be very interesting around the league. Take a deep breath, sit back, use your head, and watch the fun.